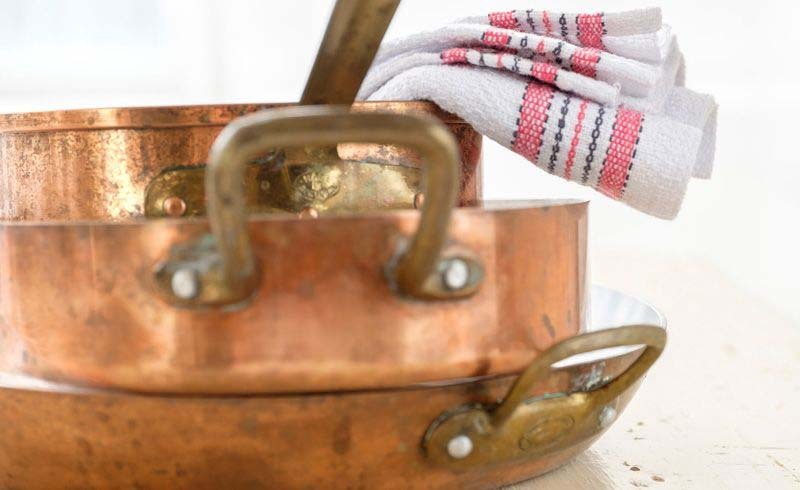 Use this advice from the Good Housekeeping Institute to clean and protect your copper items. There's a DIY option in your pantry right now. Copper is a shiny, red-toned metal when it's clean and polished — but over time, it can lose its luster and turn a rusty brown color. If you want your pots, pans, and more to gleam on your shelves, Carolyn Forte, director of the Good Housekeeping Institute's Cleaning Lab, recommends using a product that'll restore and protect your item from future tarnish. 1. 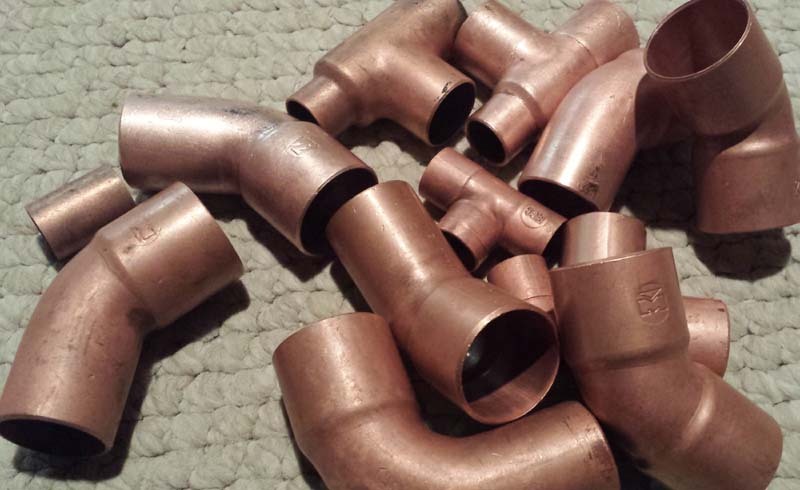 Start by rinsing your copper item in warm water. 2. Rub a copper cleaner, like Good Housekeeping Seal holder Weiman Wright's Copper Cream directly on the item, using the sponge the product provides or a clean cloth. 3. Rinse the item with water, then buff it dry with a clean, soft cloth. Forte says you probably have everything you need in your pantry for a DIY solution when you don't have Weiman's product on hand: "Ketchup and salt is a quick and quirky hack." It's not an exact science, so you don't have to measure the ingredients. 1. Squeeze a little bit of ketchup on a rag, then sprinkle salt on top. 2. Rub the mixture on your copper item in circular motions and repeat until the entire surface is tarnish-free. 3. Use a damp cloth to wipe the ketchup and salt mixture off your item and use another clean cloth to dry your item. That's it!